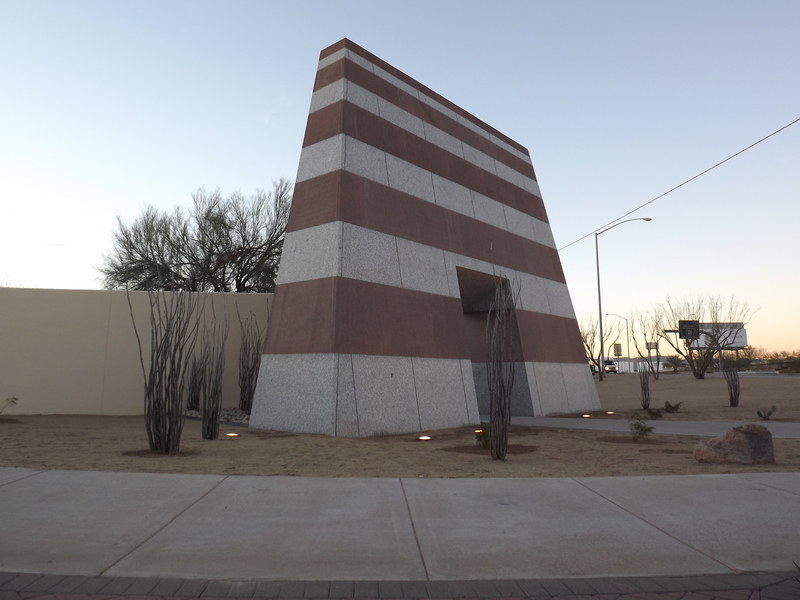 DMTM was contracted to erect the Pueblo Grande Monument for the City of Phoenix. 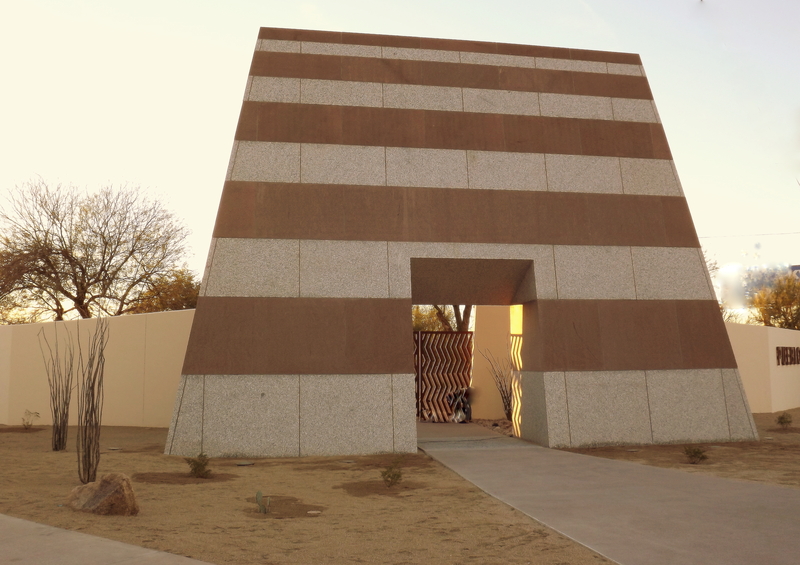 This monument included single stones weighing over 47,000 lbs. installed with an overall tolerance of only 1/8″. DMTM was contracted along with Cold Spring Marble & Granite to assemble this huge monument – utilizing four cranes during the process – the largest a 88,000 lb monster crane – that required a lead car to move to site.